Mrs. Kaniber honored his performances in the field of agriculture and especially in hop production and called him „a key person in the hop industry at national and international level“. 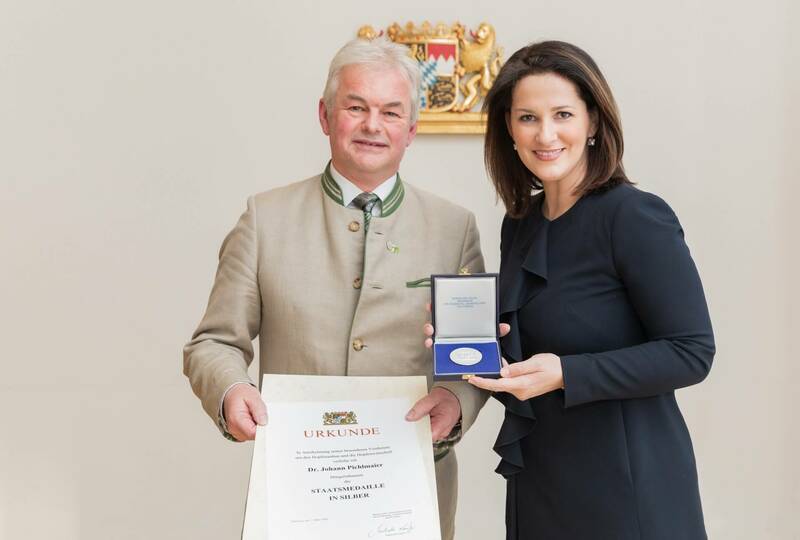 „You strengthend the Bavarian hop production with vision, competence and openness and set important milestones for the sustainability of the local hop growing sector“, the minister said. Dr. Pichlmaier is not only a member oft he Managing Committee of the SoHR but also the chairman of Managing Committee of the Hallertau Hop Processing Cooperative (HVG) Wolnzach, chairman of the Permanent Working Group Hops at the EU-Comission in Brussels and vice president of the International Hop Growers Conventions. From 2002 to 20018, Dr. Pichlmaier was also president of the Association of German Hops Growers.